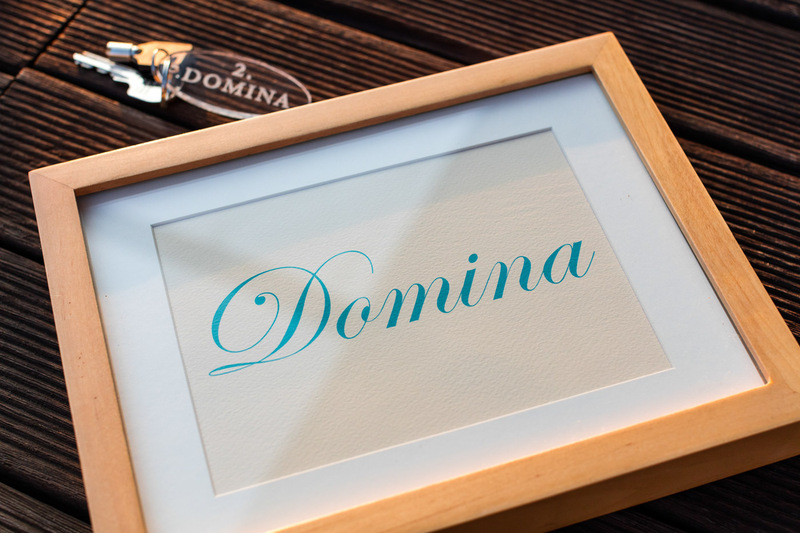 • Domina Apartment is situated at the ground floor of our mansion, with the terrace surrounded by jasmine trees and the grape vines and overlooking the olive groves, vineyards, the Hum hill and the St Nicholas’ church. 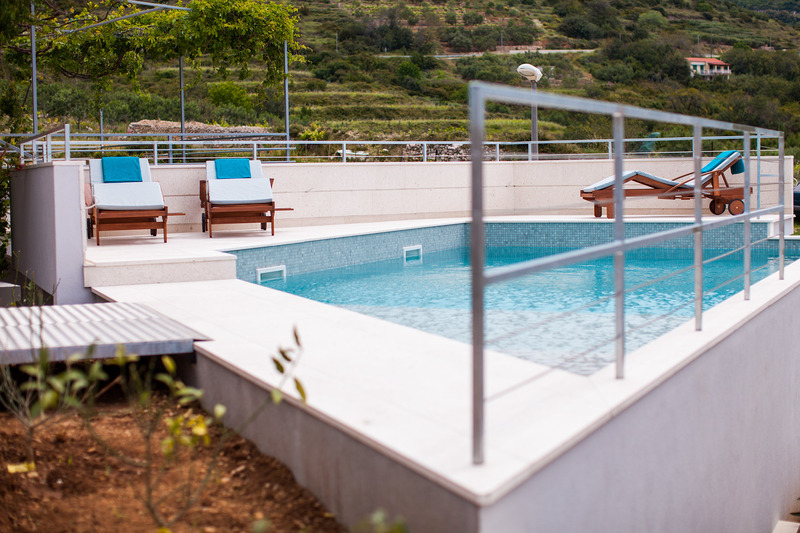 • It consists of one bedroom with three beds, a bathroom, a fully equipped kitchen with a dining room and a terrace. 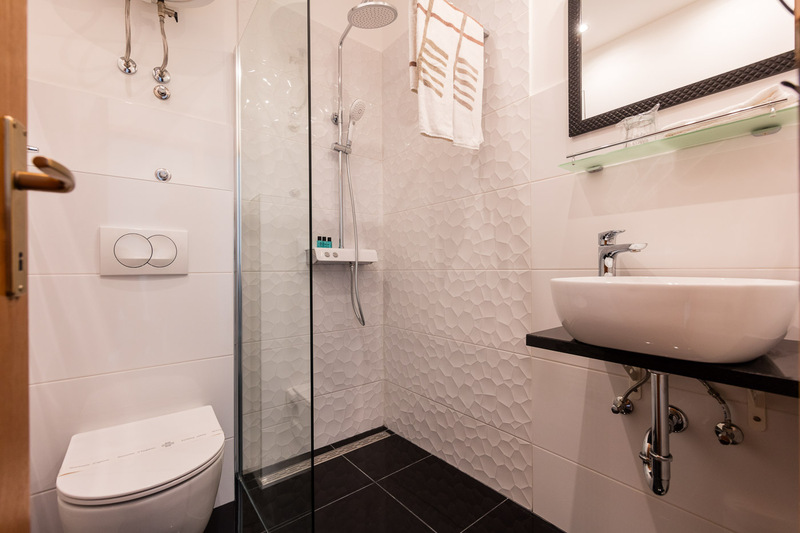 • The total floor area of the apartment is 26m2 accompanied by its 21m2 terrace. 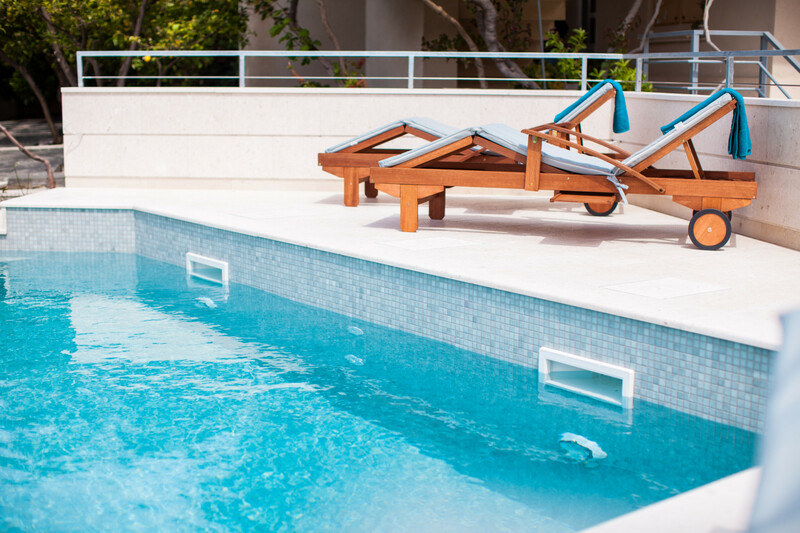 • It is equipped with air-conditioning, television set with satellite channels and wireless Internet.